Do you think having more boxing skills makes you a better fighter? Think again! It’s the fighter with more AUTOMATIC boxing skills that wins. One boxer enters the ring trying to memorize everything his trainer & friends tell him, “hands up, chin down, double jab, duck when you see a left hook, throw a right hand to counter a lazy jab”… the list goes on. Now guess who’s gonna remember and follow his instructions better? Guess who’s going to be more effective and be more likely to win? What is the difference that makes one fighter so much better than the other? How do you learn to fight at a higher skill level? It’s not about having more boxing skills… it’s about having more AUTOMATIC boxing skills. The trick to boxing or any high speed endeavor is to learn how to do lower level skills automatically so that your conscious mind can focus on even higher level skills. You don’t want your mind to be occupied and forced to think while you’re in the middle of throwing and defending against multiple punches within a split second. 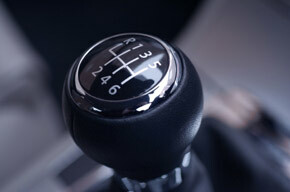 The best way to fight better, or do anything else in life better is to build your skills to become automatic reflexes. The best performers and most productive people in the world have all learned how to do things (many of them, complicated) automatically. Look at Mayweather’s amazing counter-punching. How is it that he’s become so good at defense & offense? The answer is easy: it’s because his defense is automatic. He’s not wasting his conscious mind by focusing on defense. Mayweather’s defense is automatic so he’s able to spend all his conscious brain power to focus on looking for counter-punching opportunities. Isn’t that amazing? Let’s use professional basketball players as an example. They all learned to dribble automatically so they’re free to run back and forth around the court simply looking for the open basket. Now watch a 6 year old play basketball for the first time. These kids might not notice all their open shots or open teammates. The reason why is because they’re too busy focusing on dribbling the ball. Their consciousness is being wasted on a low level skill like dribbling instead of a higher level skill, like finding open shots. 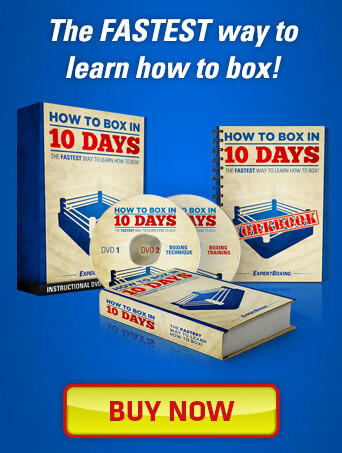 Building your automatic boxing skills is the ONLY way to elevate your game to the next level. You may have 5 skills while your opponent only has 3. But if none of your skills are automatic, that means you have to keep switching your focus from one to the other…. which means you really only have one skill at your disposal, at a time. Now if your opponent has all 3 of his skills practiced well and automatic, he will have 3 skills to threaten you with at any moment in the fight. A beginner level boxer always thinks 1-2! 1-2! 1-2! His focus switches constantly from the jab to the right hand. He puts 100% focus on the jab, and then 100% focus on the right hand. He throws it with perfect form but his mind is fully occupied by both punches and while he throws a perfect 1-2, he won’t be able to execute a higher level skill. An intermediate level boxer throws the jab automatically. He’s mindlessly throwing the jab and the only thing he looks for is the big right cross, the 2! And so when he’s fighting, it looks like 1…1…1…1-2! Because his instincts are trained to always pump the jab, his focus is 100% on the right hand. As soon as the opportunity presents itself and his jab opens up a big enough hole, you can bet he will land a 100% focused right hand on his opponent. The intermediate boxer’s right hand will be much more accurate and more devastating than the one thrown by the beginner. An expert level boxer will throw BOTH the 1-2 automatically. He’s trained so well that he’s always throwing the jab with his eyes trained to look for the right hand opening. As soon as his jab gets through, his right hand follows automatically. It’s all automatic. What he’s consciously looking for now is a 3-2 follow-up or to step back if the opponent punches back. So here he is… chasing his opponent around the ring throwing 1-1-1..and then 1-2!..this time the opponent is hit hard and here he’s throwing his 100% focused 3-2! In another scenario, he does it again chasing his opponenent throwing 1-1-1-1… there’s an opening and his automatic reflexes kick in to throw 3-2!.. but wait! His opponent is firing back… and so now his high awareness tells him to backstep away out of harms way. So you see…. all 3 boxers are 100% focused but the expert one will be far more effective. The expert level boxer has more automatic skills affording him a higher level of conscious awareness therefore making him more alert, effective, and able to fight at a higher level and even faster pace. For all we know, the intermediate boxer might know more punching combinations and fancy stuff like uppercut combos or Mayweather’s padwork routine but the expert boxer will still win because he has MORE AUTOMATIC BOXING SKILLS! People need to understand that boxing is a high speed game. It’s not like a game of chess where you have all day to sit and think about your next move. Boxing has infinite variations and possible actions, you’re not doing the same thing every second like running a marathon. You have to think & react, adjusting to your opponent over and over again. The fighter with the better trained automatic reflexes will have the advantage in making split-second decisions. When you first learn to fight, you’re worried about everything: proper breathing, proper stance, proper defense, moving your feet correctly, holding the hands up, jabbing quickly. It’s easy to get overwhelmed with so many things to remember. Once your training becomes second nature, your boxing ability improves easily. The stance becomes automatic. The breathing becomes automatic. You’re no longer getting winded because you forgot to breathe. Your hands stay up naturally and so you don’t have to constantly worry about “blocking”. You have more conscious mindspace free to look for parrying and countering opportunities. After a while, your defense becomes automatic and you’re only looking for counter-punching opportunities. Training your skills from learned techniques into automatic reflexes is what frees up your consciousness increasing your awareness and allowing you to focus on higher level skills. Follow your trainer as he moves around the ring. The trainer’s job is to lift his right or left hand for just a second before putting it down again. As soon as his glove pops up, you jab it immediately. This will build your reflexes to always be ready for throwing a jab as you move around the ring keeping proper distance with your trainer. Your trainer should follow you around the ring throwing non-stop jabs at you with his rear hand facing the ground. At some point he will throw the jab at you while simultaneously lifting the rear mitt. Right when you see this, you will throw a counter-jab immediately after blocking his jab. This drill builds your reflexes to always look for the counter-jab as you’re blocking jabs. This drill builds 2 skills. You will follow your trainer around the ring as he calls out jabs. At random intervals, he will throw a right body hook after you land your jab which will require you to quickly retract the left hand pulling your elbow in to block. After you get use to being away of the body hook counter as you jab, you trainer will take it one step further. Your trainer will randomly follow-up the body hook by feeding you the mitt for the counter-jab. So as you’re jabbing, you’re looking to block the body hook. And as you’re blocking the body hook, you’re looking for the counter-jab opportunity. Follow your trainer around jabbing everytime he calls it out. The trainer should randomly lift up the rear mitt as he catches your jab. The moment you see the rear mitt lift when you land the jab, you should immediately follow-up with a right hand. Your trainer will call out 1-2 as you follow him around the ring. He should then surprise you by trying to counter with a left hook to your head right after you land the 1-2. When you see this, duck under the left hook. but the response is AUTOMATIC. When I first learned to fight, the defense was the first to become automatic. The counter was the conscious movement. Then I started throwing jabs automatic nonstop without really paying attention to them. I was only waiting to see how my opponent would react to my jabs so that I could land my big right cross. The big right cross was the conscious movement. Improving upon that, my first 3 punches became automatic. However the slip in the middle followed by 2 counters were conscious decisions. As I got even better, I began throwing quick combinations with my conscious mind focusing on how bad my opponent was hurt. If I saw that my automatic combinations broke through, I would follow-up with a big left hook and a right hand. Elevating your game is not about learning more skills, but to train more of your skills to become automatic. Doing more things automatically allows you to focus on higher level skills that will make the difference in helping you win the fight. Talk to the best fighters you know and you’ll realize that they’re not occupied with making the right counters every time. Some of them will have nothing to teach you when you ask for advice because everything they do has already become automatic. Realistically your defense, footwork, head movement, breathing, jabbing, and basic counters should all be automatic. Your conscious mind should only be occupied with the exact strategy and tactic to help you beat your opponent. Of course you’re trained in dozens of strategies and tactics so it’s your trainers job to tell you exactly which ones to focus on. The truly amazing thing about automation is that your body will perform the task so much more smoothly when done naturally than if you were to be consciously aware of it. Think of a simple task like walking. When you walk without being consciously aware of your walking style, your body does it naturally. The walk is beautiful, effortless, and natural. The moment you start to become self-conscious of your walking, it begins to look weird… your strides change and your movement changes. You may even waste more energy as you try and micro-manage the “perfect” walk making it a complicated matter. Let automation do its task! To make beautiful movements, just let go. Train your reflexes to perfection, then free your mind and let your movements come out naturally. If you’ve got many skills honed to perfection and you’re still not winning, chances are: your most important boxing skills are not yet automatic. Does shadowboxing also help in this article? 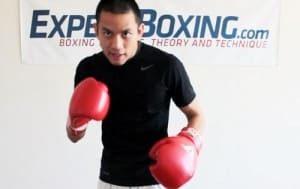 Very good article, am 29 i started box 3 years ago – can i work through the automatic skills through shadow boxing and sparring without the mitts. I think Guillermo Rigondeaux stlye is the best i ever seen since Muhammad Ali before Layoff. Shadow-boxing does not have anything to move at you and test your eyes to help you train your reflexes and awareness. Because there is nothing for you to focus on, you’d only be imagining attacks. Sparring doesn’t train the skill because your opponent will constantly adjust and try new things once he sees that you are adjusting to him. Because he is constantly adjusting, you won’t have enough repetition to make the reflexes truly automatically and built into your muscle memory. But yes, shadowboxing & sparring is still better than nothing. If you can though, try the mitt stuff. It really helps. As for Guillermo Rigondeaux, yes….he’s awesome. Great stuff! I’ve read every one of your articles and this is by far the most enlightening. It really make a ton of sense. Its exactly what people always say “Master the Basics”. I guess I’ve been trying to look for an article that will give me a short cut (A Super Secret Technique maybe) to being a better boxer, but this article is a great reminder that I can not over look the fundamentals and I that I cannot go far if I don’t have down the basics. And Yes I agree that Pad Work is very helpful. I noticed when I execute a combo (1-2-3-2) on the pads it feels alot more smoother (maybe even what it feels to be automatic) than when i try it in shadow boxing where it feels akward or slow (may be because im punching at nothing?). So my question is through pad work will i eventually get an automatic feeling executing combos in shadowboxing? Is there such a thing as an “Automatic feeling” that can be felt? Oh yea same goes for my foot work. Chialee – shadowboxing will always make you feel slow because you have to use your own muscles to retract your arms. And yes, you will definitely get a feel that your skills become automatic. You will know… one day, you will be looking at yourself in the mirror watching some guys spar while you perform entire smooth combinations. Or another day, you’ll see your own sparring video and realize you’re doing a lot of little things correctly. But it will definitely happen, sooner or later. Antony G – I don’t like weight gloves only because the weight HELPS the punch after the initial burst. It’s kind of like swinging a bat. The greatest effort is made at the beginning when you first start the swing, but once the bat gets moving…the weight on the end of the bat helps to swing itself. If you really want to improve punching power & speed. Improve your technique, build the actual muscles that punch & recover. Using resistance bands is helpful too. I’m glad you guys like this. I’m always having a hard time deciding between whether to write really technical theory articles or stick to the technique explanations. Of course, it seems like everyone wants both. very nice tips here in your site ! I am wondering if you also have schoolsparring exercise ? 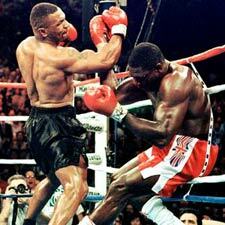 i mean by that examble Boxer A trow some punches and Boxer B react on that and trowe some shot himself. I highly recommend slow sparring drills so everyone can learn. Absolutely! Can I substitute mitt work for the maize ball And how should I use it? Working on the mitts and working on the maize ball is two entirely different things. I would skip the maize ball and work entirely on the mitts if I could. I dont have a trainer to hold the focus mitts is there anything that can substitute mitt work? There’s really no substitute for mittwork. It’s probably the best boxing practice other than sparring. After training for the past four months and sparring a few times this is so true. I need a lot of work in this area and your article really helps. I dont have a partner to spare with. Pls suggest me what should I do as a substitute? 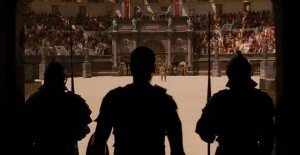 @Amit – I’m afraid there is no substitute for a sparring partner. Perhaps you can have any friends, even non boxers, just throw punches at you. Or if you had to hit a bag, the double-end bag is your best bet. you should deffinately make an article on how to work the double-end bag! do you believe by “tap sparring” where one only works defense and the other only offense can at least be somewhat beneficial to your automatic skills? so automatic boxing skills comes from drilling the skills over and over again and using them consciously in the ring until it becomes automatic? Shadow boxing is for developing muscle memory because you’re getting comfortable by making repetitive movements. Padwork is for developing reflexes but it also improves muscle memory as well. Hey johnny , the other day I was sparring and out of nowhere my straight right came out and hit my sparring partner right on the face and shocked him . I was amazed because it was like I didnt even think about trowing it , I actually wasnt even looking for the opportunity but I trew it at just the right moment and afterwords i was surprised that I did this and I have done it acouple of more times . But it seems like I can only do this when I don’t think , there has also been other times that ive sparred and the person would try to atack me with 1-2s and I would block the jab and counter with 2 . And now that I think about it , this has only happened when im in danger , because both times I was bleeding really bad from my nose , its like I active and get into some type of survival , counter mode that I can only activate when im hurt . I will try to find away to activate it when im not hurt . I also notice that I am really good at trowing those right crosses , so I guess my mind isnt focused on technique with that punch and focuses more on when to trow it and I guess now its getting that automatic skill to trow it when my eyes see the opening without thinking. So now i think that to develop automatic skills first you need to make your technique perfect then work on seeing the opening and then it will become AUTOMATIC right ? – PRETTY MUCH! You’re going in the right direction, Jose. Keep at it! I just started training in boxing recently maybe 3 weeks in. I find it really hard to land any shots that I am training for when I sparred for the first time. I see openings but I can’t land any shots not even my jabs. The only time I can hit my partner is right before they are about to punch everything else gets blocked or dodged. Is it that i’m too slow or something or that the openings I see aren’t really openings? You’re sparring too fast. You need to slow it down so you can practice seeing and reacting to things. Everyone has to start somewhere. Sure, there are the basic combos but after you start sparring, you’re going to create combinations on the fly. Thanks John M, very helpful. Hey Johnny! Great article! I was wondering if there was any tips you had for training automatic reflexes without a partner to help with mitts or anything, I’ve watched Lomachenko do juggling drills off the ground and off the wall and I’d say I’m a fairly intermediate juggler and do drills of juggling fast off the ground and off the wall, focusing my eyes on objects far away and close while juggling, punching a tennis ball against the wall trying to get as many hits in a row as I can wherever it goes, and throwing and catching the balls far out to the side while looking forward to work peripheral vision, I’ve definitely improved my hand eye coordination a LOT but was wondering what I could do to improve in the meantime! I honestly don’t have any other ideas, Santiago. The best method for developing realistic fighting reflexes is with a live partner. There really is no substitute for that. There are just certain movements like swimming or wrestling, etc, that can’t really be practiced differently other than by doing the exact movement itself. Wow. Thank you so much for this article. I cant believe Im only reading it now but glad to know this is still helping people several years after you posted it. I am falling in love with boxing and getting into it more seriously now. But sometimes I mess up the combos because Im thinking too much and I get really upset at myself. Your article made so much sense and encourages me to train and practice more! Thank you Johnny! !